Hello! I hope you are all having a great weekend! Happy Halloween! Today I have a quick card to show you.. nope, not a Halloween, Fall or Christmas card, but rather a birthday card! 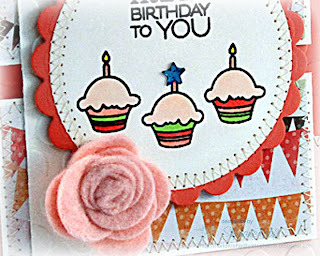 I started with some patterned paper from My Mind's Eye Fine and Dandy (Tickled Pink) collection.. 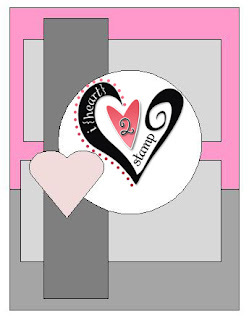 I was so excited to see them making papers in the 6x6 size now.. perfect for cards! The cupcakes and sentiment are from Verve's Birthday Bash set. I colored them with Copic markers and added a little star rhinestone to the center candle. I've recently discovered Pizzazz Aplenty and have been getting all of my flat back pearls and rhinestones from Judy (she has lots of other goodies to add pizzazz to your projects!). If you aren't familiar with her site, I encourage you to visit her HERE. I used Jen's latest Sketch For You To Try for my layout. 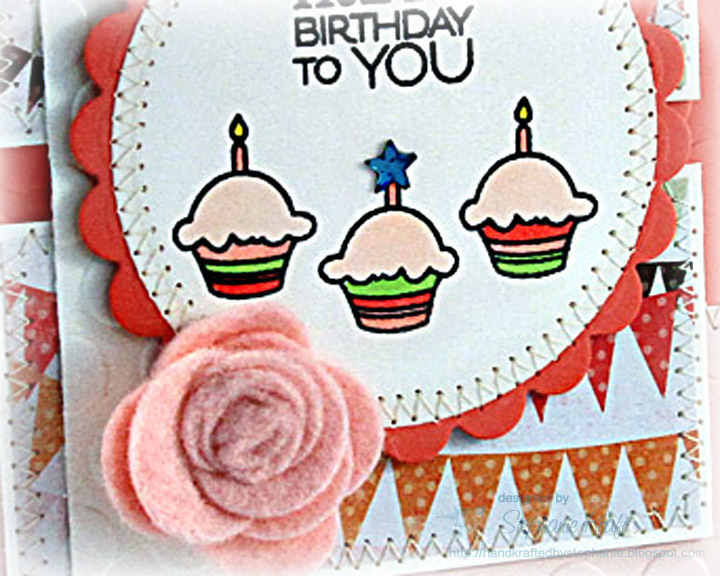 Accessories: Standard Circle and Standard Scallop Circle Nestabilities (Spellbinders), Rolled Rose Die-namics (My Favorite Things), Seeing Spots embossing folder (Provo Craft), Felt, Star Rhinestone (Pizzazz Aplenty), Markers (Copic), Foam tape, Thread, Sewing machine. Cute card! That felt flower is so fun! 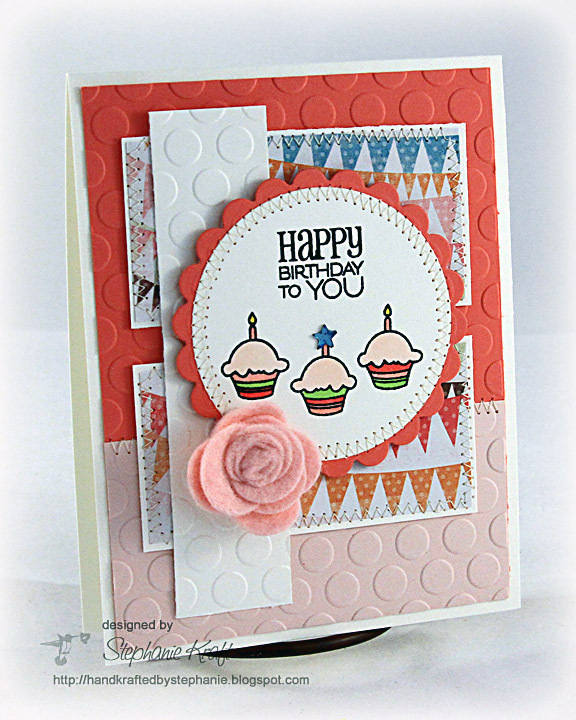 Super cute Happy Birthday card Stephanie! 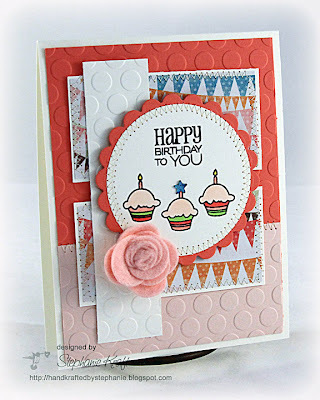 Love all the layers, embossing and that lil' felt flower is gorgeous! Adorable design. Love the papers you used to go with your sweet cupcakes.